Rahul will be playing a practice match for Canterbury against Central Districts.This is the short interview of the Canterbury coach regarding the team's response to the entry of Rahul in their squad. Canterbury coach Bob Carter :"I didn't really know what to expect, but it's been very pleasant to see how he's just walked into the team and got on with everyone,". "He's very warm and he came to a team dinner last night at Two Fat Indians, that the boys put on, and he was great there. He's fitted in well and it's wonderful to have a great of the game playing with us and the boys look upon it as a really positive move and something to grab hold of. "This is quite a unique situation and a lot of the boys have already come to me and talked about the great things they're seeing from him in the nets and I think he's enjoyed himself at our practice today." 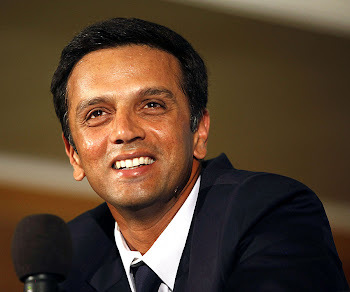 With Peter Fulton in the New Zealand A team, which play the England Lions in a four-day match at Lincoln starting tomorrow, Dravid will occupy his usual spot at three in the batting order of a Canterbury team keen to turn their limited overs form into results in the longer version of the game.